That would describe our day with Leo today. 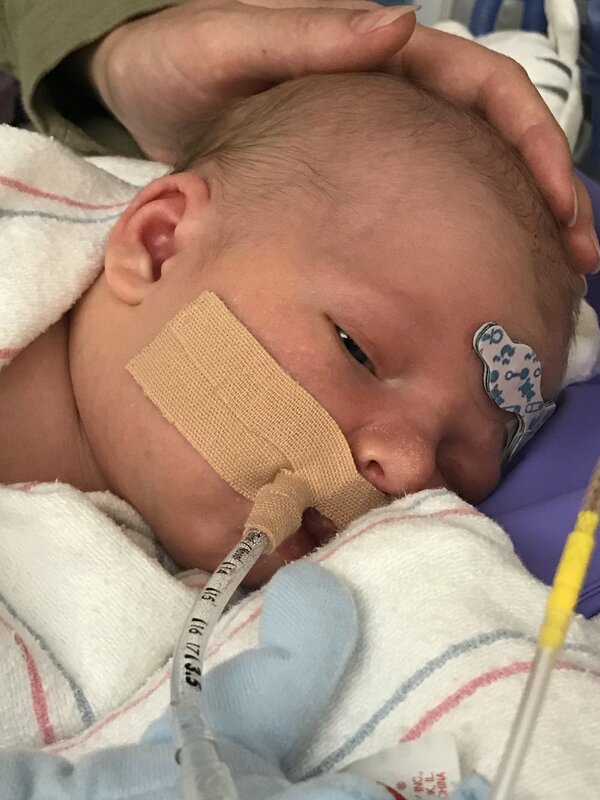 His numbers continue to improve; blood pressure, oxygen saturation, respiratory and heart rates were being carefully monitored as medications were gradually weaned off and/or added back as needed. At this point, the epinephrine has been discontinued (although they have had to continue the prostaglandins in order to keep the PDA open and maintain equal blood pressures between upper and lower extremities). Add to that, the latest blood culture has shown no new bacterial growth. These are both good things! As this current stable state continues, Leo will be gradually eased off the ventilator. His respiration rate is exceeding the ventilator setting (within normal limits) so we know he is capable of breathing on his own. The doctor did order an OG (oral gastric) tube placed with the expectation of feeding Leo through it sometime soon. We are grateful for the tremendous care Leo continues to receive at Phoenix Children's Hospital. From the outstanding nurses and doctors to the physical therapists and social workers, we feel fortunate to be here during this difficult time. And we saved the best for last. Leo opened his eyes today and looked right at his mom and dad as if to say, "Hey, where have you been?"